Men Of The Year: The Best OOTDs That Bollywood’s Boys Served Us Hot! Suited up or dressed down, we've always liked our favourite Bollywood actors to look on point. It's no news that these men make heads turn every time they walk into a room. And we've seen them dressed to the T, whether for events, at the airport, at photo shoots or on their Instagram feeds! Truth be told, we're so glad B-town's biggest men are paving a bolder way for fashion in the industry, aren't you? There is never a dull moment with this actor par excellence! From his Masaan days to his latest venture Uri, Vicky's acting skills have only gotten better. But, it's his dressing sense that's caught our eye. 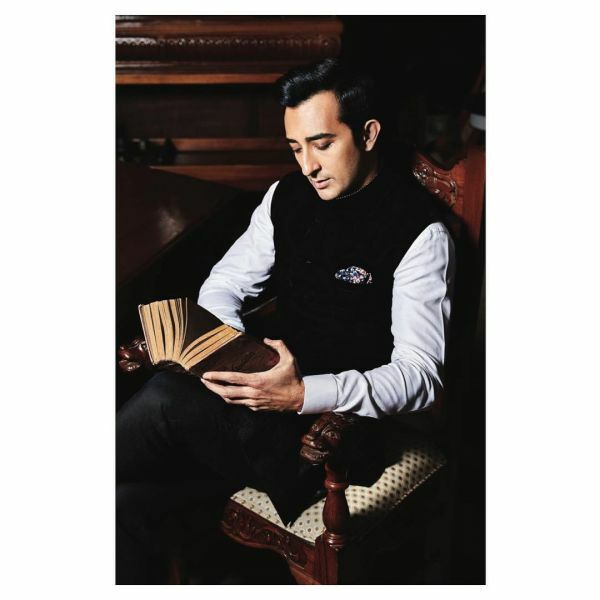 We see him rocking both quirky western wear and traditional Indian wear with ease and we just cannot get enough of him. Could you blame us? 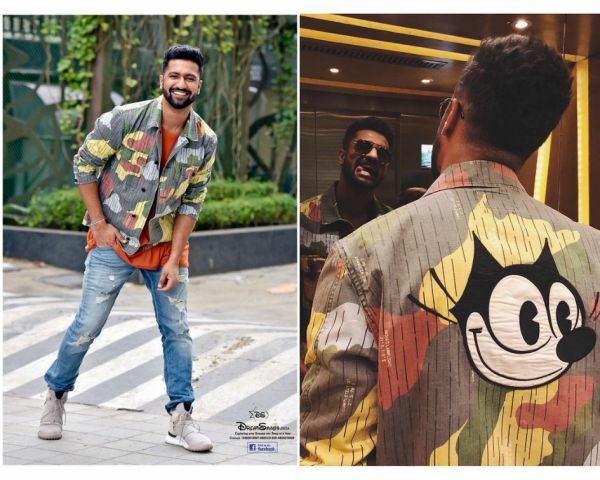 Here, he is seen wearing a Scotch and Soda denim jacket, which caught our attention due to the cartoon print, a pair of Gas Jeans, and high-top shoes from Adidas. This powerhouse performer is not new to the fashion scene either. We have seen Ayushmann Khurrana's personal style reach great heights through the years, and he's definitely one of our favourites now. The actor usually gravitates towards quirky and bold ensembles, he doesn't fail to work his charm in dapper digs either. 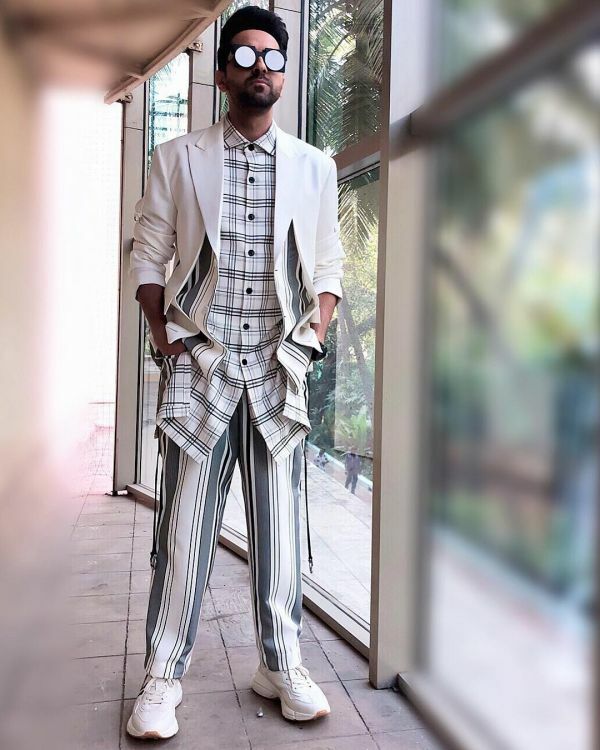 How incredible does Ayushmann look in this supremely cool print-on-print pant suit by Pawan Sachdeva and on-trend chunky sole sneakers? Over the years, Bollywood director Karan Johar has given us a lot of looks that are extraordinary. 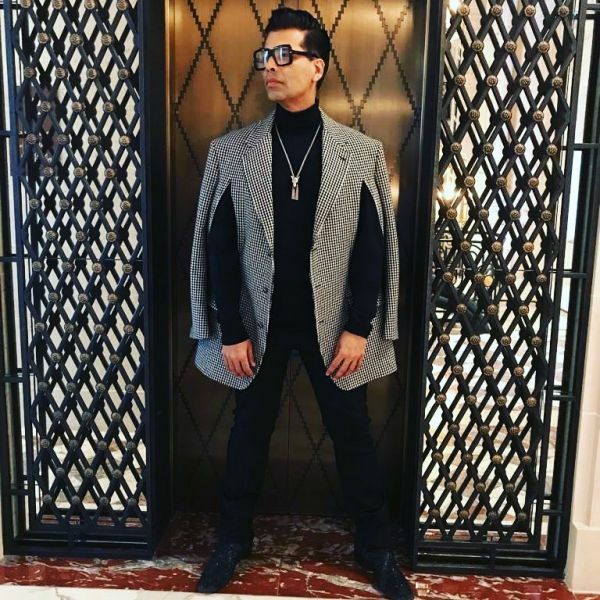 From working statement jackets in bold shades of red and yellow to acing novelty fabrics such as velvet and leather, Karan's got his style pat down. Plus, with high-fashion brands like Christian Louboutin and Tom Ford in his closet, he sure knows his fashion dictionary in and out. And the fact that Karan's personal style screams 'boss' and 'diva' at the same time is something we live for. His best-dressed moment, in our opinion, is this. An all-black outfit, layered with a cape-style blazer - all by Gucci. Never disappointing, Shahid Kapoor's wardrobe is one of the best in Bollywood. Whether it's his kitschy suits or super cool athleisure outfits, the handsome actor knocks it out of the park every time he steps out. This all-black Tisa Studio jumpsuit and jacket on Shahid is one of his best, and bravest, looks this year. This desi munda gives us looks after looks that are unforgettable. 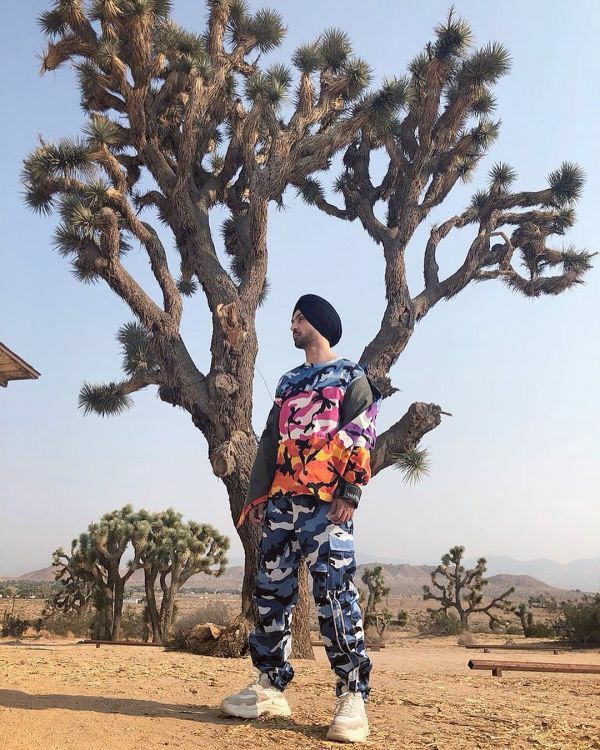 One of the few actors that can sport Yeezy boots, and with such ease, Diljit is a rockstar in more ways than one. Sure, we're big fans of his music but what we're obsessed more with is his statement outfits. 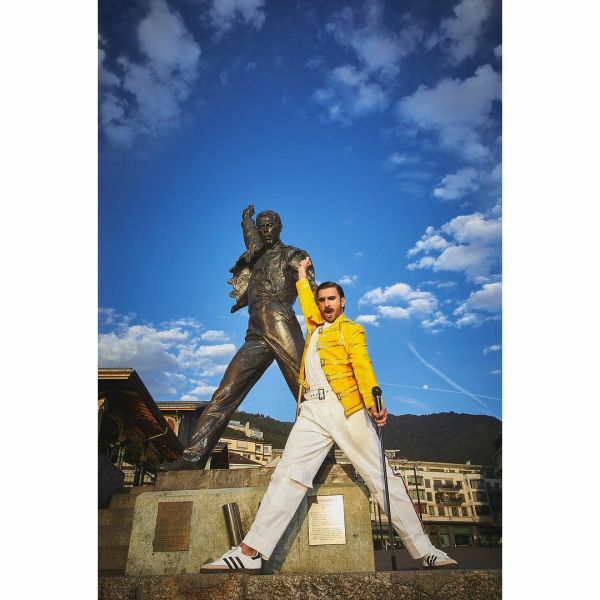 Ranveer Singh, apart from being a superbly talented Bollywood actor, is also a crazy dresser. Yes, he is over the top and quirky but we're not complaining. We love it! It's rare to see anyone taking fashion risks as big as Ranveer Singh does. From working psychedelic print-on-print ensembles to pulling off pyjamas at page 3 parties, this man can do it all. There's no doubt that Rajkummar Rao is one of the most versatile actors in the industry. However, a lesser-known fact about this charming man is that his personal style is as diverse as his acting talents. 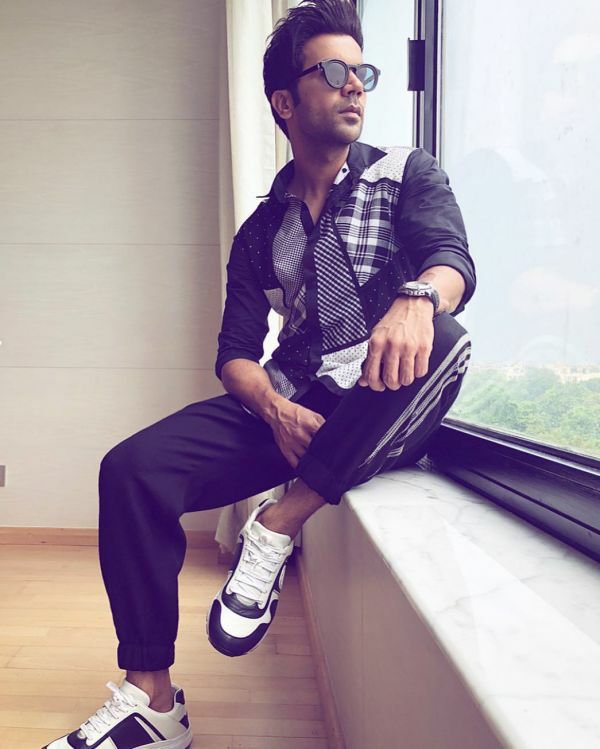 Rajkummar Rao can work anything from sharp and structured suits to simple, no-frills Indian wear. 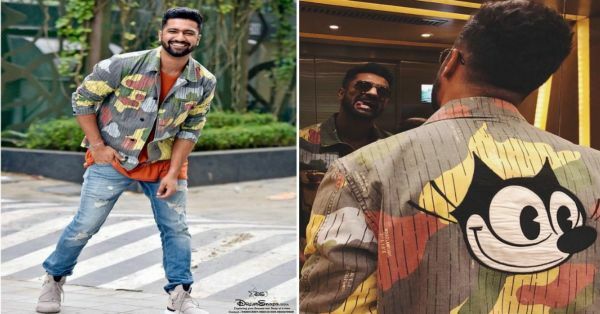 One of Rao's best-dressed moments this year is from when he threw on a Rajesh Pratap Singh patchwork shirt and joggers with casual black-and-white trainers by Gucci. 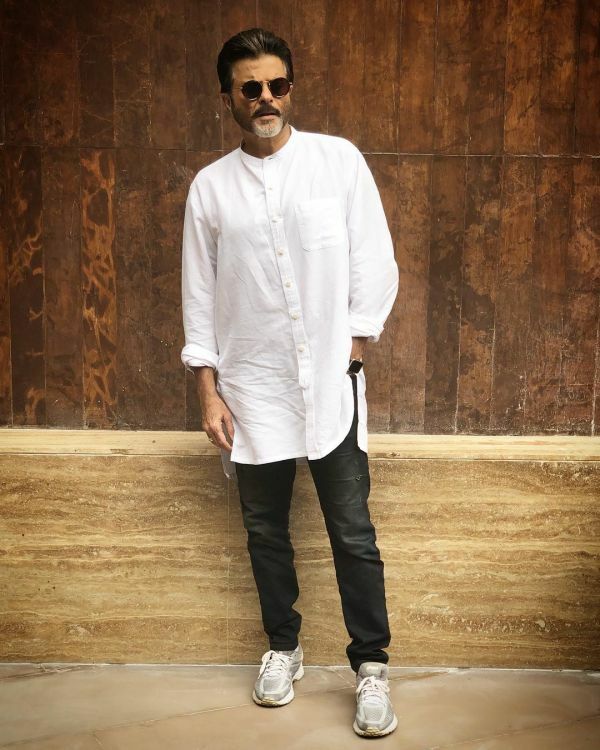 Bollywood veteran, Anil Kapoor is ageing like fine wine, and so is his wardrobe. His outfits are as sophisticated as they are cool, and can give the younger generation a run for their money. Maybe he was born with it... maybe it's his stylist daughter, Rhea Kapoor. Either way, we're taken by Anil Kapoor's big-boy wardrobe - I mean look at him here. The man is wearing a button-up contemporary kurta with washed-out black jeans and Nike sneakers...and he's doing a damn good job at pulling it off, isn't he? !